wudikkk.com. 3600 IN NS dns10.hichina.com. 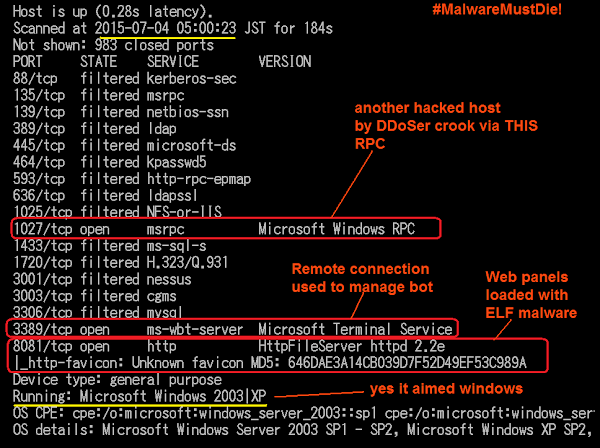 Sample spotted+contributed by malmouse - #MalwareMustDie! On 09-09-2015, we have located a sample. unixfreaxjp, how do you get the C6C? Just executing in a sandbox and monitoring the traffic? O using strace? both? kekieres wrote: On 09-09-2015, we have located a sample. None of the above. This is an open public forum, and I know for sure some of the crooks we hammered are watching this forum closely too, so I am truly sorry I can't answer your question more in here. Moreover I don't know you at all. As far as I've seen and understood, it's just reporting to the C&C. Just after that contact, it's constantly trying to resolve hostname fk.appledoesnt.com that at the moment does not exist. In case someone wants the pcap just contact me. just my last question. 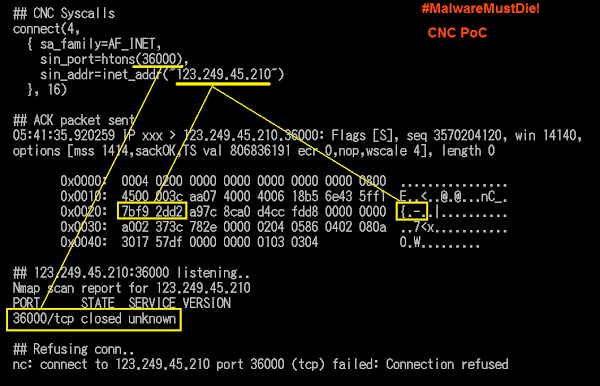 I suppose that people have noticed with a simple strings that within all samples there is a big list of IP address. In my sample they are all located in Asia. Anyone has a clue of what they are? BillGates ddoser with speedy infection, suspected a shellshock driven. Connection to 23.228.102.133 25001 port succeeded! 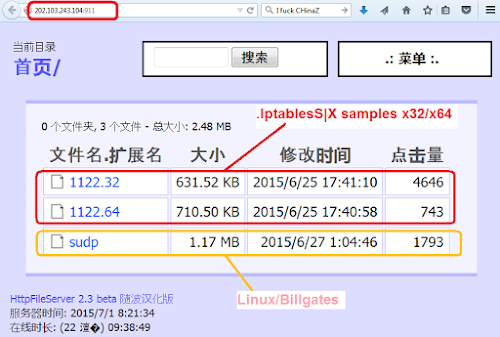 Linux/BillGates was used by the ChinaZ actor as payload, together with Linux/.Iptables|x. 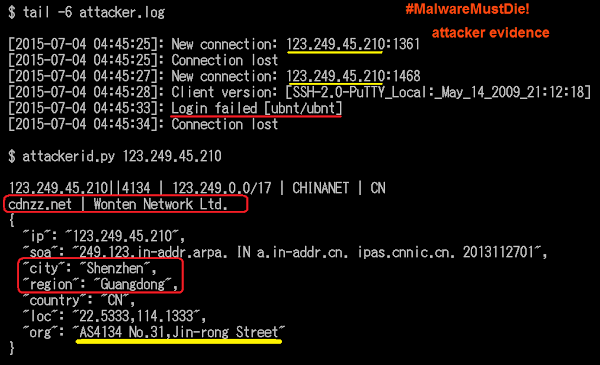 using hacked PC to attack..obviously..
Those IPs are DNS amplyfier IP list used for DNS flood attack. Linux/BillGates malware has this function.